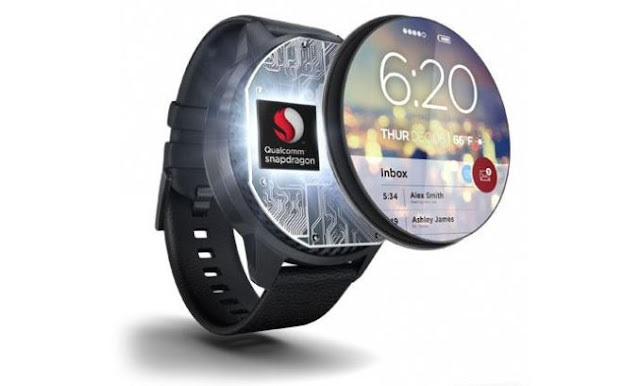 The Snapdragon Wear 2100 chipset packs a quad-core Cortex-A7 CPU clocked at up to 1.2GHz, and its Adreno 304 GPU (featured in some of the 200-series chips) can feed displays up to 640x480 pixels at up to 60Hz. Two versions of the chip will be available, one tethered (Bluetooth/Wi-Fi only), the other - connected, with full 2G/3G/LTE cellular connectivity. The chip also supports NFC and GPS, and comes with Quick Charge 2.0 capabilities.